Five RQYS members competed in the Queensland Sabre Championships at Cleveland Yacht Club last weekend. John Campbell, with 6 straight wins, won in very tricky conditions. Keith Wilson, John Simmers, Alan Wilson and Andrew Matheson also competed. Saturdays light wind with strong outgoing tide made all aspects of racing difficult. Simply crossing the starting line on starboard tack was difficult due to the current. After four heats on day one, four boats were contesting third place with scores from 16 to 18. Sunday morning was very different with a northwesterly breeze and the threat of south east change later in the day. The fifth race started against an incoming tide. Again, those able to clear the start line without being caught by the tide were advantaged. 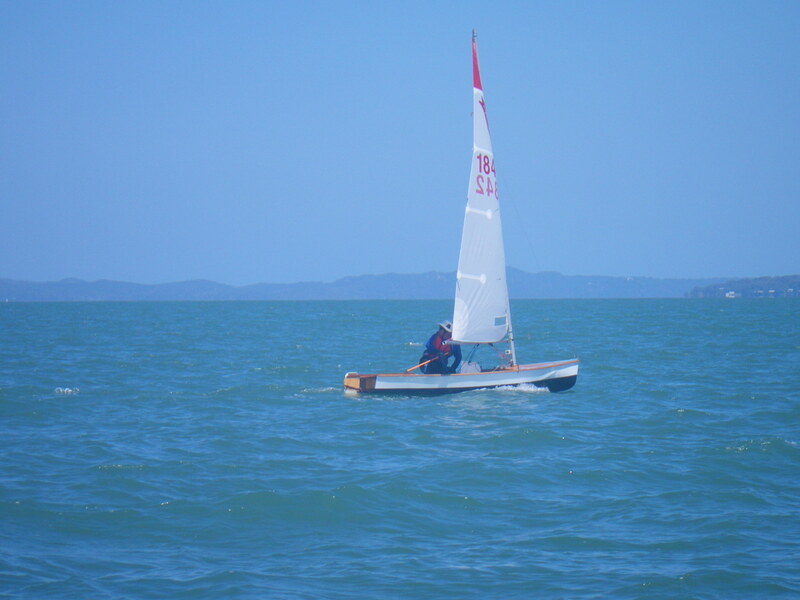 In this race, Alan Wilson was able to place second by gaining a favourable wind shift off the land. The second and final race of the day started in a building north east wind. But during the second beat a progressive wind shift to east preceded the arrival of the front which hit as boats started the downwind leg. The rescue boats noted clouds of sand blowing off the North Stradbroke Island hills. 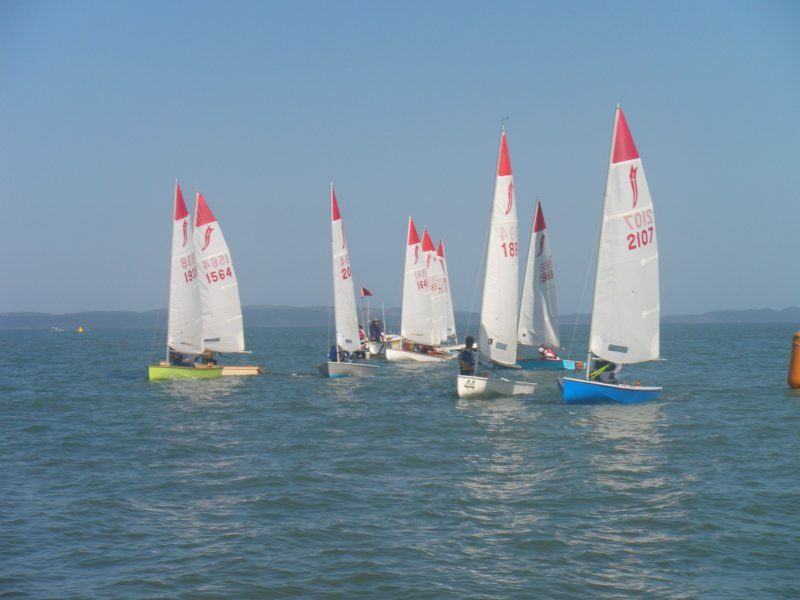 This was a very successful regatta with many camping at the club on Saturday night. RQYS will be hosting the Sabre Australian Championships in early January 2019. The event website can be found at https://www.rqys.com.au/2019-australian-sabre-championship/. This provides information about the regatta including our sponsors. If you are interested in sailing please see us on the rigging lawn with the boats with distinctive red top sails. 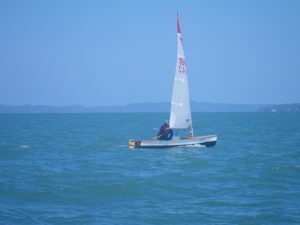 The Queensland Association is organising a training weekend at RQYS in early December to help prepare for the National championships. This is an excellent opportunity to refine sailing skills.